Set on the edge of the Asia-Pacific rim and stretching along 35 miles of coastline, Queensland’s epic seaside city is easily Australia’s most spirited. But there’s much more to the Gold Coast than iconic surfing beaches and a party-hard vibe; think subtropical rainforests, thrilling theme parks, amazing markets, and a booming foodie scene. We check out the 10 best things to do in a forward-thinking place that was a recent host to the 2018 Commonwealth Games. 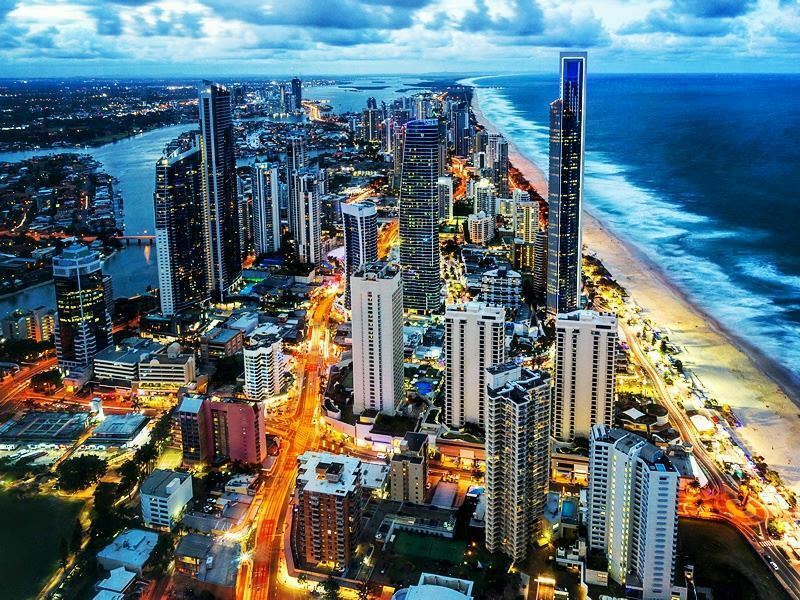 For an eagle-eyed view of the Gold Coast beaches, the Surfers Paradise precinct, and the lush hinterland, you can’t beat the 233-metre-high SkyPoint Observation Deck at the iconic Q1 Building. After zipping to Level 77 in SkyPoint's high-speed lift (it takes just 42.7 seconds), you’ll get to spend as much time as you like either gazing at the cityscape through high-power binoculars or lingering over a decent meal paired with fine wine or beer at the Seventy7 Café + Bar. There’s also an awesome line-up of live music on Friday and Saturday nights when the place transforms into a chic lounge bar just for grown-ups - and more family-friendly Sunday afternoon sessions from 2pm to 5pm for those with kids. The SkyPoint Observation Deck opens daily from 7:30pm to 9pm (later on weekends) and tickets are sold until 30 minutes prior to closure. Equally tempting is the SkyPoint Climb - an adrenaline-charged adventure that takes you 298 vertigo-inducing steps to the skyscraper's iconic steel spire (the climb takes around 90 minutes and all safety gear is provided). When it comes to handmade knick-knacks, inspiring artworks, farm-fresh produce and vintage gear, the Gold Coast market scene is a real game changer. For savvy fashionistas and boho-lovers, The Village Markets on the first and third Sunday of every month at Burleigh Heads State School from 8.30am until 1pm, and the fourth Sunday of every month at Paradise Point Park from 8am until 1pm are a must-do - not least for their offerings by up-and-coming designers. There’s also Carrara Market and its car boot offshoot for brand new and second-hand finds, Mount Tamborine Country Market for fresh fruit and veg from local growers, and Miami Marketta Street Food Market for global foods, boutique wines, locally-brewed craft beers, and free performances by a line-up of blues, jazz, and flamenco artists. The best of the rest include Coolangatta Markets at Marine Parade, Broadbeach Markets at Kurrawa Park, Surfer’s Paradise Markets along the Esplanade, Chinatown Street Markets in Southport, Gold Coast Organic Farmers Markets in Miami, and Sanctuary Markets in Currumbin. 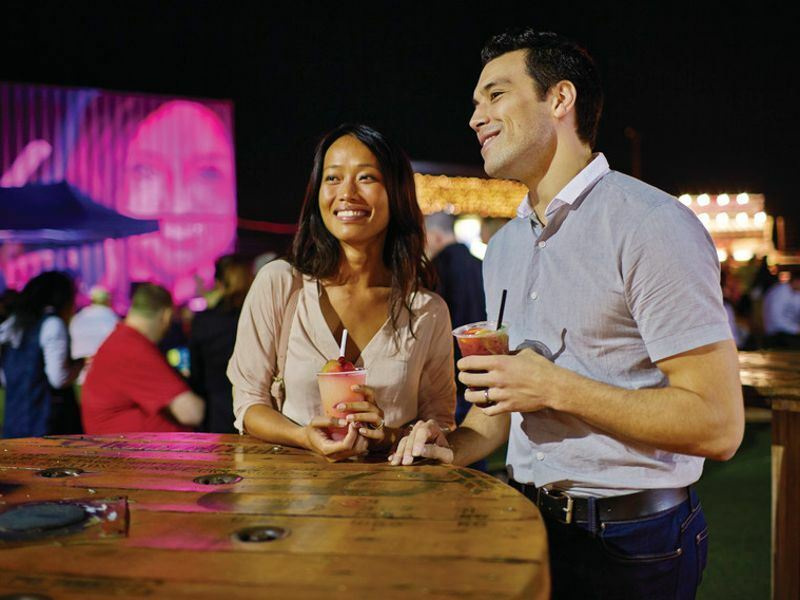 The Gold Coast is full of gastronomic promise, with farm-fresh ingredients and creative cooking techniques as the driving force in the vast amount of concept restaurants, quirky cafés and bars, pop-up street stalls, and artisan food trucks. 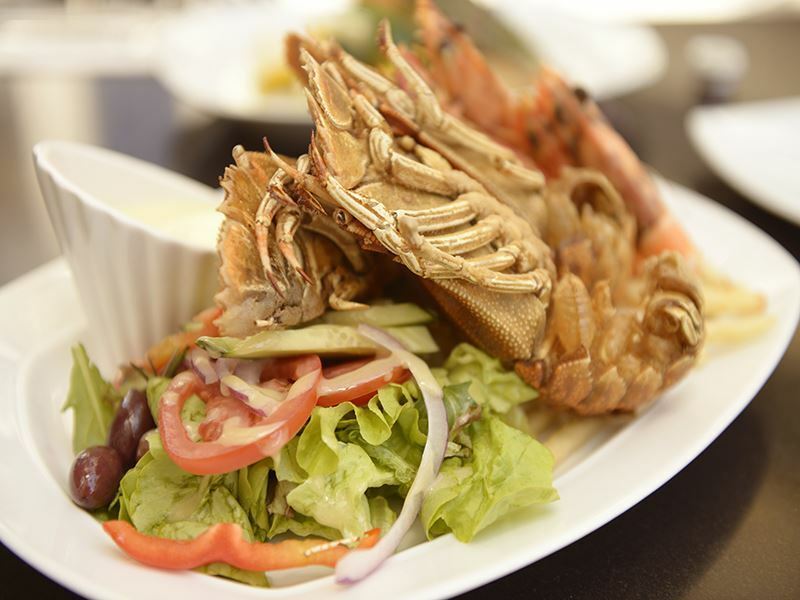 When it comes to mouth-watering eats in Surfer’s Paradise, there’s few places that trump Clifford’s Grill & Lounge at the Watermark Hotel & Spa for cooked-to-perfection steaks, and Citrique at the Surfers Paradise Marriott Resort & Spa for wood-fired offerings and a sprawling seafood buffet that’s reasonably-priced. Elsewhere, go-to foodie spots include Etsu Izakaya at Mermaid Beach for izakaya-style fare, Justin Lane at Burleigh Heads for rustic pasta dishes and pizzas, and Hellenika at Nobby’s Beach for Greek sharing plates. Also visit-worthy is the Cicchetti - the casual-chic dining spot on the Isle of Capri where the modern Italian seafood, meat and pasta dishes and extensive wine list are as appealing as the Australian blackbutt timber tables, rose-gold pendant lighting, and giant chandelier suspended above the bar. Given there’s 24 golf clubs on the Gold Coast within 45 minutes of Surfers Paradise, you won’t be stuck for memorable courses. For bragging rights, the Peter Thomson-designed The Links at Hope Island, the Greg Norman-designed The Grand and The Glades at Robina, and the Jack Nicklaus-designed Lakelands Golf Club at Merrimac are all must-plays. But there’s also the challenging 18-hole courses at Burleigh Golf Club in Miami, Emerald Lakes Golf Club in Carrara, and Sanctuary Cove Golf & Country Club in Hope Island - all of which come with stunning scenery to distract you from the trickiness and toughness. 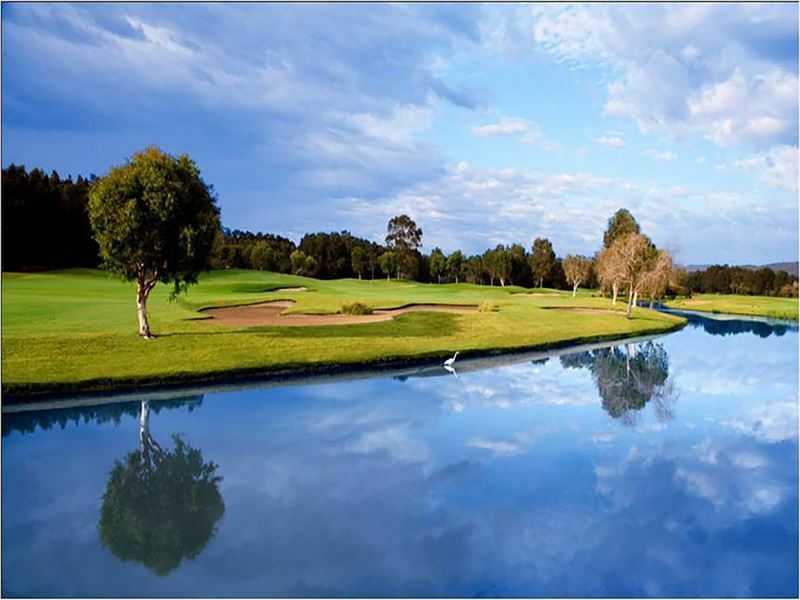 Elsewhere, there’s RACV Royal Pines Resort for its Graham Marsh-designed 27-hole composite course, Southport Golf Club for its tree-lined fairways and strategically-placed water catchment areas, and Gainsborough Greens for its mix of difficult and easy plays in natural bushland (keep your eyes peeled for the Eastern Grey Kangaroos who like to bound along the greens). For families, Putt Putt Mermaid Beach ticks the boxes with three 18-hole mini golf courses: Jungle Trail, Fun Run, and Waterways. 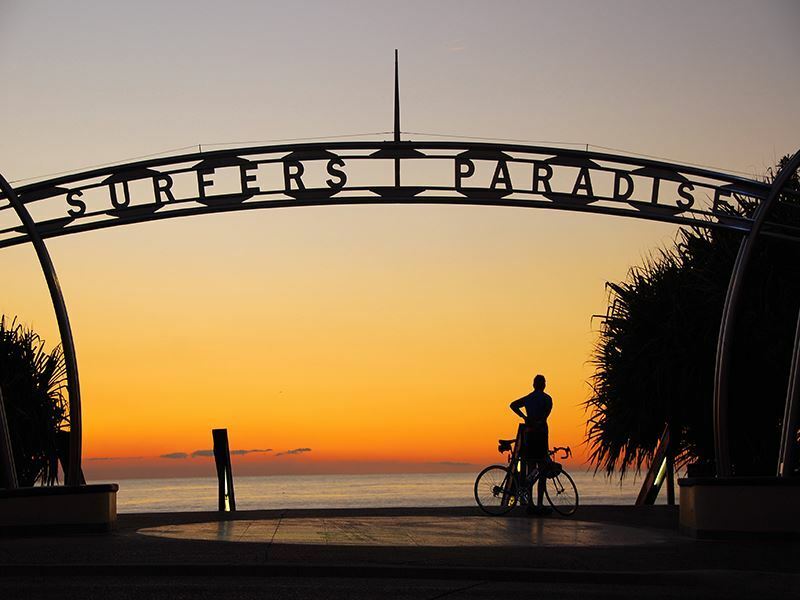 With over 370 miles of cycle ways, it’s easy to explore the Gold Coast on two wheels. You can play it safe and ride the Old Burleigh Road from Surfer’s Paradise to Broadbeach, or put your pedalling skills to the test by hitting Darren Smith Memorial Route - a 30-mile stretch (named in honour of the local Olympic cyclist) that runs along the coast between Point Danger, Coolangatta, and Paradise Point. Venture further afield, and there’s the 12-mile Currumbin Valley Loop where you’ll cruise through the coastal suburb of Currumbin before entering the Gold Coast Hinterland, and the 26-mile Mount Tamborine Loop that runs for 577-metres to the top of Tamborine Park and provides access to the volcanic mass of Mount Tamborine. Equally rewarding is the Little Nerang Dam to Springbrook ride - a 28-mile round-trip with edge-of-cliff views over Springbrook National Park. All types of bikes (beach cruiser, fat-tyre mountain, tandem) can be hired from Get On Your Bike (https://getonyourbike.com.au/). All come with a key lock, handlebar bag or basket, and a helmet. Kids’ bikes and trailers are also available. 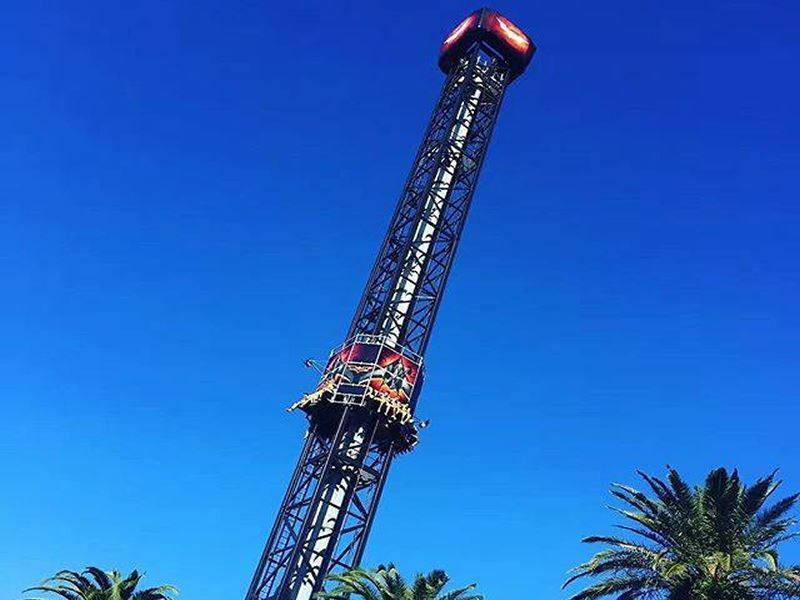 For those wowed by the hidden heroes of cinema who risk their lives flinging themselves off high buildings, crashing cars at ridiculously high speeds and getting frequently shot at, you can’t top Stunt Park in the Queensland suburb of Nerang. Headed up by nine-time Australian Taekwondo Heavyweight Champion and Hollywood stuntman Colin Handley, it comes with an excellent section of adrenaline-pumping and action-packed courses - all of which are manned by professional instructors and performers. Most popular is the full-day stunt session that focuses on stage combat (punches, kicks, blocks, throws and reactions), swordplay with real Samurai Swords, flying on wires, and high falls with customised airbags. 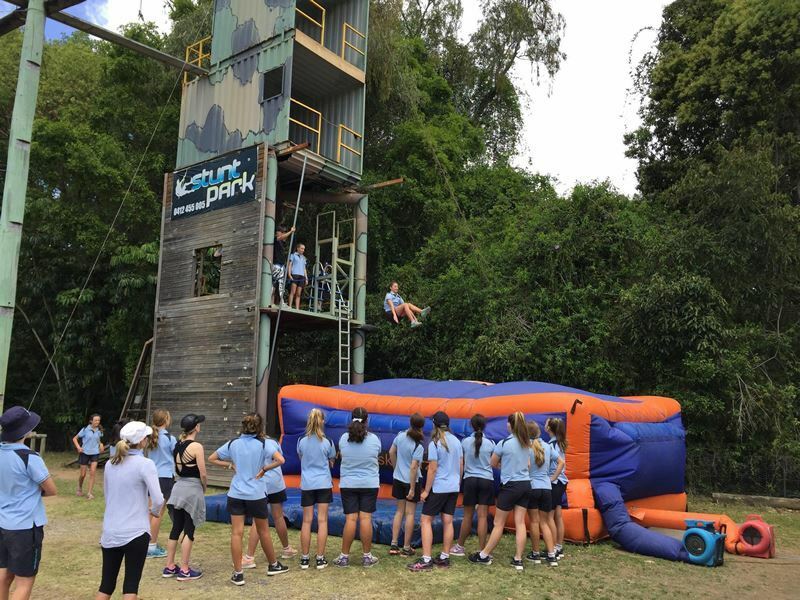 There’s also roping techniques, rappelling (forward-facing abseiling), and a commando-style obstacle course with rope climbs, apex walls, rings, monkey bars, and tyre runs. Usually held on the first Sunday of every second month, the full-day stunt session lasts for seven hours and costs £235 per person. You’ll be required to sign a waiver prior to participating. Just 45-minutes from Surfers Paradise, the Gold Coast Hinterland is where you’ll find cascading waterfalls, glow worm caves, and the wildlife-rich national parks of the World Heritage-listed Gondwana Rainforest. 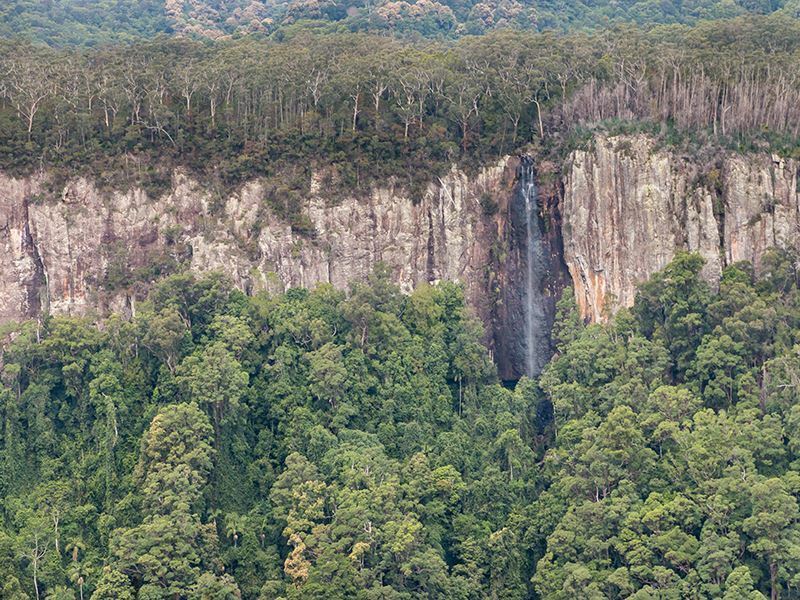 Most adventurers make a beeline for either the 34-mile-long Gold Coast Hinterland Great Walk that connects the Lamington and Springbrook plateaus or the dedicated cycling trail that runs through the verdant wineries and boutique breweries of Mount Tamborine. Area highlights include visiting the Currumbin Wildlife Sanctuary to feed a kangaroo or cuddle a koala, booking a 4WD rainforest eco safari to see the Natural Bridge rock formation at Springbrook, marvelling at the Tweed Volcano which erupted around 25 million years ago, and exploring Woonoongoora - known to the local Yugambeh people as ‘Queen of the Mountains'. Don’t miss the 180-metre-long O'Reilly's Tree Top Walkway at Lamington National Park where you’ll get to stroll through the rainforest canopy at 15 metres (49 feet) above ground level. It’s free-to-enter and the views from the vine-covered trees are off-the-scale stunning. The Gold Coast’s Orlando-style theme parks are big business. If you’re travelling with kids, make a beeline for Wet ‘n’ Wild for its Caribbean-style beach, giant wave pool, and action-packed H20 rides (Blackhole, Kamikaze, Mach 5, Tornadowater), and Warner Brother Movie World for movie-themed rides, special effects studios, Hollywood-referencing restaurants, and plenty of chances for little ones to meet their favourite cartoon characters. Equally visit-worthy is Infinity Attraction for its futuristic maze and series of around 20 mind-blowingly cool multi-sensual environments, and Paradise Country for its farmyard staples (cows, horses, chickens, ducks, pigs), excellent sheep shearing displays and stock horse demos, and up-close encounters with emus, koalas and kangaroos. Stretching from the Rainbow Bay in the south to South Stradbroke Island in the north, there’s a string of stunning beaches along the Gold Coast. But it’s the Surfer’s Paradise that gets all the love from sunbathers, swimmers and surfers; mostly for its three-kilometre-long stretch of glistening sand, crashing Pacific waves, and the new $25-million beachfront esplanade that incorporates three distinct zones: urban plaza, urban beach, and urban park. 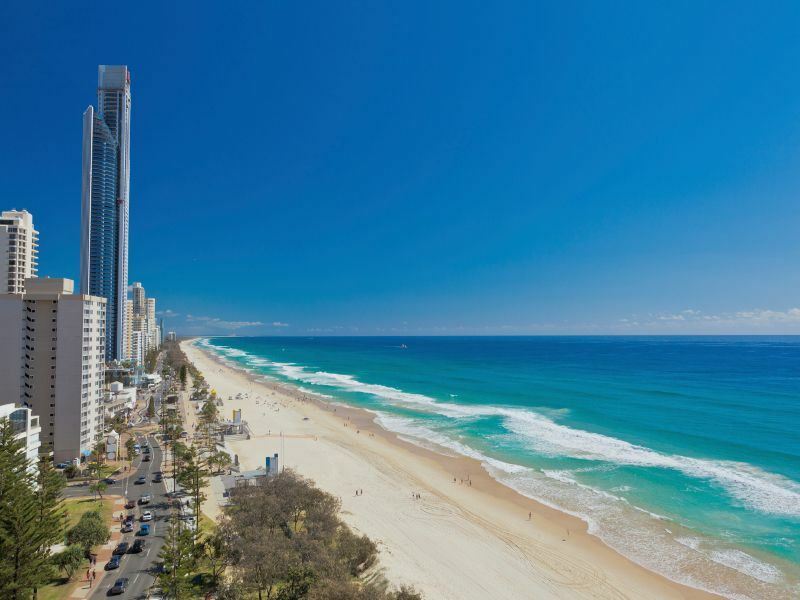 Elsewhere, there’s Tallebudgera Beach for its dazzling white sand banks, Main Beach for its alfresco cafés and historic bathing pavilions, Broadbeach for its picturesque parks that line the foreshore, and Tallebudgera Creek for its calm and swimmable estuaries. 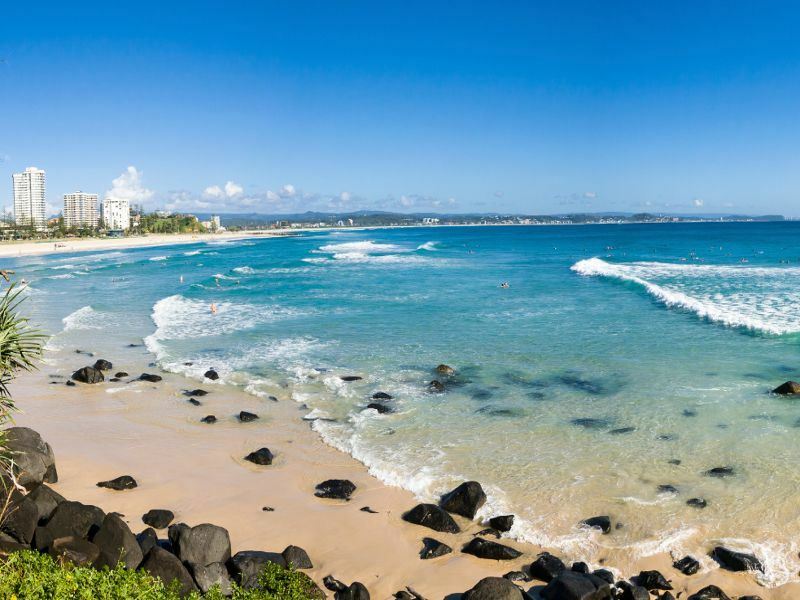 Further relaxed beach gems worth checking out include Mermaid Beach, Miami Beach, Nobby Beach, Coolangatta Beach, Greenmount Beach, Kirra Beach, and Burleigh Heads - all of which have their own character and quirks. All of the Gold Coast Beaches are manned by lifesavers and lifeguards - with extended patrols on many of busier beaches until 10:30pm to stop revellers entering the water after dark. For those keen to dive the depths of the ocean, remarkable treasures await in the Gold Coast waters. Most head to the reliably good Gold Coast Seaway for 370 different fish species, including the Giant Queensland Gropers and large schools of Bigeye and Giant Trevally. 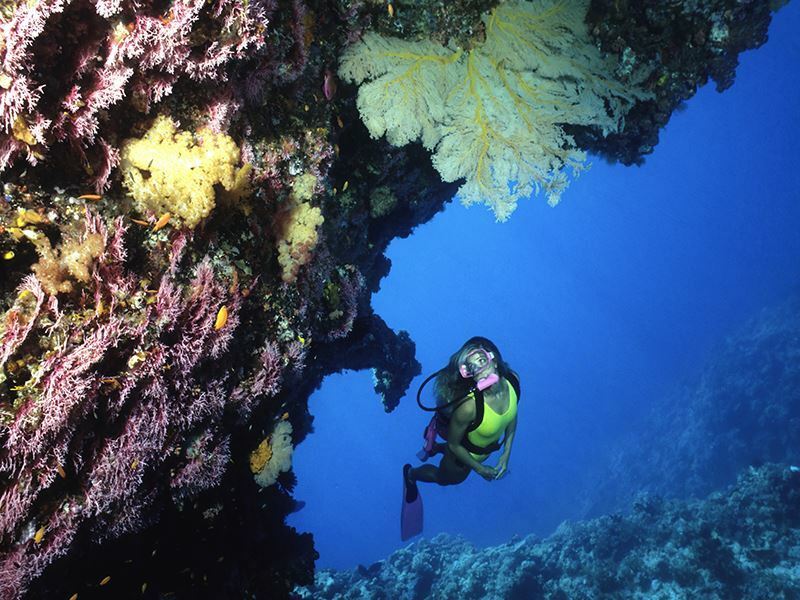 You can take your pick from four unique dive site areas: South Wall (including the Sand Bypass Pipe and the Short Pipe) for marine biodiversity, North Wall for schools of pelagic fish, wobbegong and whaler sharks, South-West Wall for little critters, and Wave Break Island for snorkelling and basic dive tuition. There’s also Palm Beach Reef Dive Site for sections of rocky outcrops and several large bommies with a variety of soft corals and sponges, Kirra Reef for soft corals, anemones and an abundance of fish species, and Narrowneck Artificial Reef for ascidians and crinoids. Equally worthwhile is heading 800 metres off the Gold Coast's Southport Spit to dive the 10-metre-deep wreck of the Scottish Prince - the three steel-masted, 64-metre iron barque ship that tragically sunk in 1887 in the final stages of its voyage from Glasgow to Brisbane.